Don't get me wrong...I'm all about Tarjay's swimsuits because their price tag is rather persuading but I prepare myself with the fact that  every other girl and her dog will probably have it on and  it probably won't last me until the end of summer. This drives me absolutely nuts. It's not cute. It DOESN'T match! Really...this so-called "trend" will never make sense to me. I don't know the technical word for this but it's the bottoms that have, well, a tie on the hips. Again, I have my fair share of these from previous years but here lately, I feel like they put me back in my braces, awkward, no-hips, teenage years. Plus-they emphasize el-hippos...an area I don't need help with. Thanks but no thanks. Seriously...the girlier the better. Beau can't STAND it and often times, deems me to the kiddie pool but what does he know?? I say: ruffle it up, ladies! I have never been a dark/dull colored swimsuit person. Sure-I've had my fair share of dark swimsuits but they always pack a hot pink or lime green punch to 'em. It's summertime! Be LOUD for Pete's sake! I'm okay with tanlines, really, but if I have the option, I'd rather not have those obnoxious lines that show when I wear a strapless dress. Bandeau tops are my frands. If there's one thing I can't stand it's having the same swimsuit as someone else...especially if that someone else is a string-bean and they look ten times better in it than I do. 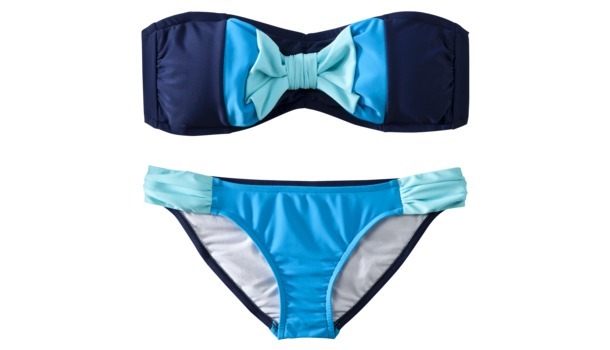 I'm all for being original when it comes to your bikini. That's all there is to it. 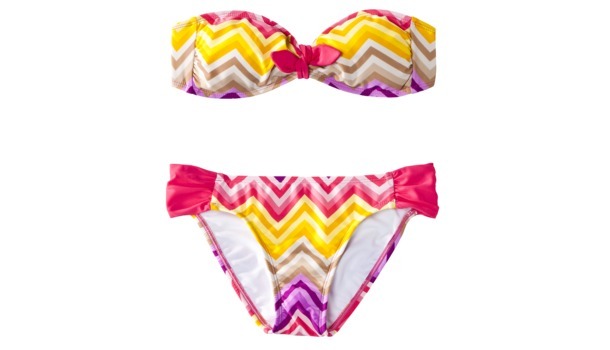 We can't wait until bathing suit season! We love this post from Stephanie at BEAUtiful Mess. Of course, the list would be complete without our new Monogrammed Chevron Bandeau Top! Get yours at Marleylilly.com! Who else is SO ready to spend every Saturday and Sunday in the sun?